The Irish. You know, in honour of Paddy. And his day. And one of those things would be Guinness. And Nigeria would be the first country outside Ireland and Great Britain to produce Guinness. As in to have a Guiness Brewery, as far back as the 1960s. 1963 to be exact. In fact, Nigerians consider the stout produced here as the best in the world for its peculiar taste and quality. 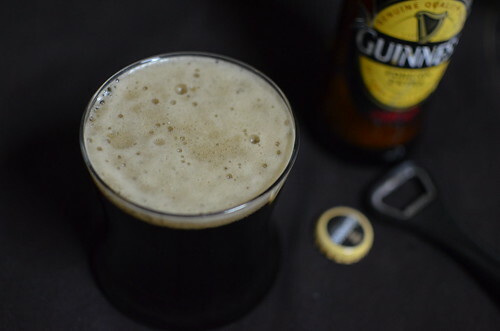 Nigeria is the second largest market for Guinness Foreign Extra Stout in the world. It was initially introduced into the Nigerian market through importation in the 40’s. Guinness Foreign Extra Stout was first produced in Nigeria in 1962 in the Ikeja factory, the foremost brewery in Nigeria, Guinness Nigeria Plc. For over 60 years Guinness Foreign Extra Stout has been sold in Nigeria making it one of the most loved brands in the country. I wish I could concur, but I love my sweet and Guinness is bitter. It strikes me as being the ‘bitter black’ drink of the spectrum, with Malta as the ‘sweet dark’ at the other end. The only way I’ve ever been able to drink it is not ‘straight’, but combined with coca-cola in a shandy–style drink popularly known as the Trojan Horse. I grew up calling it ‘stout’ and never Guinness. My mum drank small bottles, often with cocoa-cola and my dad loved the big bottles, called Odeku, drunk straight. It was and is almost the drink of the ‘gods’ on this side of the world. Before champagne and wine became popular, most affluent people drank stout, rather than liquor. My husband says he never has and never will drink it because ‘He can’t spend his money buying stuff that’s ‘bitter’. Though he’ll get a good ribbing for that, for in Nigeria we have a saying that ‘it’s a poor man who says stout is bitter’ (for it is more expensive than regular beer). As most people know, I’m better at eating than drinking my alcohol. And with my long connection to Ireland, in celebration of St Patrick’s day, I’m enjoying Guinness the way I like it best – in a caramel sauce, and in Guinness bread rolls which will be served up for breakfast tomorrow. The sauce in the meantime is my breakfast dip, for sticks of churros. I used most of the stout for my rolls and not wanting to down the leftovers used it to make a sauce, along with French butter and cream. All delightful stuff on their own, and totally delightful in this combination caramel sauce. 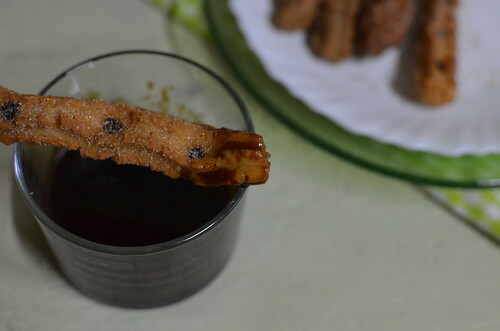 Which is multi-layered with bitter, sweet and toffee notes. This would be a perfect companion for a coffee cake, and any chocolate cake. Over ice-cream. Sigh. Pancakes. Crepes. At the base of sticky buns. With cherries on a sweet flat bread. 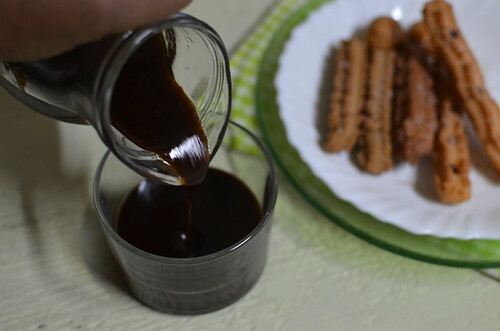 This dark and shiny sauce, the consistency of creamreminds me of molasses without the cloying ‘grain’ flavor and texture. But I am a fan. I love this dimension of bitterness which I’ve never sought but now embrace for it isn’t only about what happens while you eat it, but afterwards. The bitter notes are amongst the final ones to arrive on the palate. But then it lifts and sweetens the mouth on the finish. Admirable and full of character. Like St Patrick. And only with Guinness from a bottle. Yes, I am a snob – for Tetrapaks aren’t the same, in my mind! Spread brown sugar around the base of a small but high walled pot and let it heat up on medium to low. 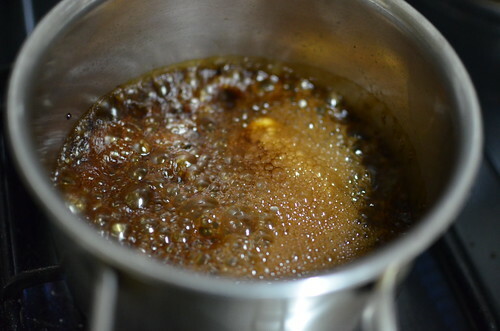 It will begin to caramelize – you will observe melting and darkening around the edges and ‘wet patches’ in other parts. The sauce doesn’t need extra bitterness from ‘burnt’ caramel so I don’t wait till the sugar liquefies – the Guinness will let the deep character of caramel shine through. After a minute, when parts of the sugar are now liquid, add the unsalted butter and Guinness, stirring. The mixture will bubble up. Stir and let simmer for a minute. The result will be tasty but liquid still. Finish by adding the cream which thickens it and turns it into ‘sauce’. Stir the cream in till well combined. Remove from the heat, allow to cool and store covered in the refrigerator. Re-heat briefly on the stovetop or in the microwave before serving. 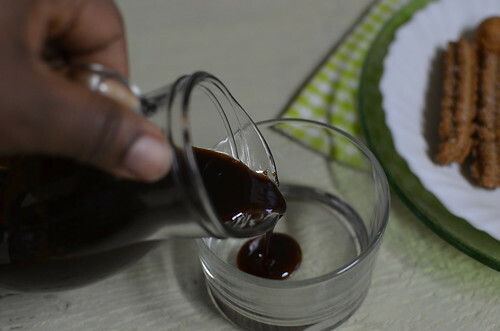 Dark chocolate and coffee lovers will ‘get’ this sauce in all its entirety for both ingredients have the same flavour resonance, as this sauce. Deep, rich, dark. Let’s leave it there. Dessert: sweet, Fresh, complex and totally worth the calories! I believe St Patrick would approve. Don’t you? Especially if he had it ladled by the teaspoonful onto a gorgeous chocolate mousse cake. 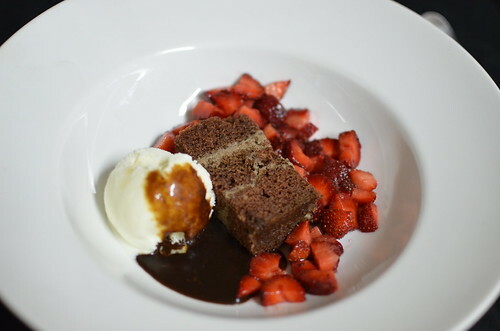 With fresh strawberries, and vanilla ice-cream. My husband changed his mind – he loved it!